Not everyone or everything is created equal and not ALL REALTORS are created equal. That’s what makes my job so interesting. I would highly recommend that you interview your agents prior to hiring them and speak to more than one. A personal referral is also of extreme importance. 1. Unlike social settings – in business we are all equal. When someone is introduced, enters the room or offers a handshake – you should stand (that goes for WOMAN especially). You want to be taken seriously? You should act accordingly. 2. The first person to the door opens it in business settings. 3. Always make introductions. If you forget a name – simply admit it and apologize. 4. Introduce people based on rank – the client is ALWAYS the most important person. 5. ALWAYS and I mean always refer to someone by Mr. or Mrs. unless they give you permission to call them by their first name regardless of their age. 6. First impressions count. Offer a FIRM handshake but not the death grip. 7. Hugs and kisses in a business setting are inappropriate. 8. When attending a business event always put your nametag on your right shoulder. It’s easier for people to read. 9. Always ask the person in charge of meeting where to sit – they often have seating assignments in mind. 10. Do NOT put your briefcase, purse or any object on a conference room table. This includes your car keys. 12. A hand-written thank you note speaks volumes. SEND ONE after you meet people or share a conversation – it will go a long way in getting you referrals. 13. Return voice-mail, email and phone calls within 24 hours but really 30 minutes if you want to be taken seriously. If you are going to be unavailable, record a custom message so people will clearly understand when they can expect to hear from you. If you follow these simple rules (and you may think of more) it will go a long way toward letting clients and business associates know that you mean business. I’m in the business of selling homes and part of that involves the dreams that are an integral part of every home. It’s the dreams of friends, families, husband, wives and our beloved pets. It’s a memory of a life well-lived. But what makes a house a home? It’s Mom. As we approach Mother’s Day I want to wish everyone a Happy Mother’s day. 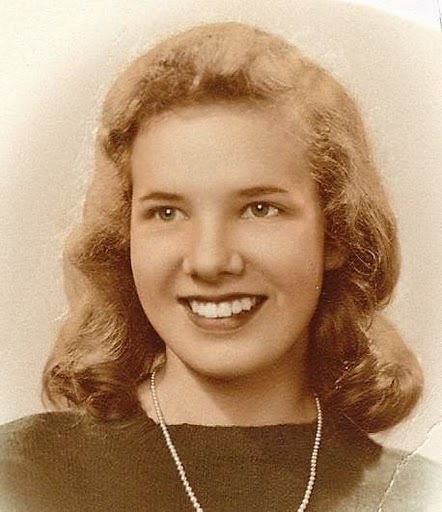 It’s this day that I remember my Mom, Jean Snyder Parvin who was just wonderful and who made the best meat loaf, spaghetti sauce, banana cream pudding and so much more. Mom was food, warmth, encouragement and security all wrapped up in a lovely package. She was my hero and my friend. Mom was also a warrior who protected her children her entire life. In the end, breast cancer was our enemy but Mom faced it with grace and dignity and without complaint. My Mom was a shining example to her children and her husband. So Happy Mother’s Day and God Bless you Mom – we miss you! Your memory still warms our hearts. You are currently browsing the OrlandoNest: Orlando's Luxury Real Estate Blog blog archives for May, 2010.